Maldon Tandoori01621 850985work Restaurant - IndianThe restaurant was established by two brothers in 1987 specialising in authentic Indian and Bangladeshi cuisine.. Serving dishes made to customer's specific requirements, including anything from mild chicken Korma to hot and spicy chicken Naga. Many ingredients are sourced locally, although some specialist ingredients come from suppliers in East London. 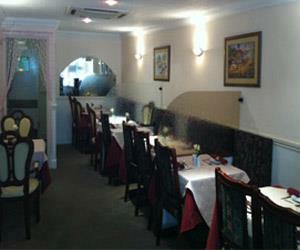 The restaurant was established by two brothers in 1987 specialising in authentic Indian and Bangladeshi cuisine.. The restaurant has a high standard in quality which was recognized in the 2010 Essex Food and Drink Awards where they were awarded highly commended for best small restaurant.